The continual and enthusiastic support of filmmakers is paramount here at ReelGood. The ReelGood Online Festival is a place for filmmakers to share their work with the world long after the film has been through the festival circuit, when they might otherwise be sitting around on some hard drive with no audience. There is no theatre, there are no dates and (at the moment) there are no prizes. We’ll be selective with our choices, so that the quality of the ReelGood Online Film Festival will be maintained. RGOFF is an ongoing project to promote excellence in film and to endorse filmmakers that we think are top notch. Like these guys – Stain recently burst onto screens at the ReelGood Film Festival 2015 to an overwhelmingly positive reception. If you like long takes, great scripts and characters that clean a lot then we’re sure there’ll be at least three elements of Stain that you’ll absolutely love. 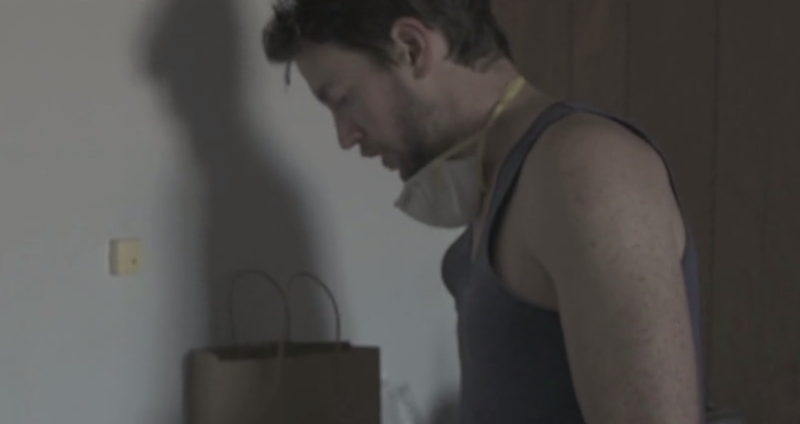 Stain was made as part of the 48 Hour Film Festival Melbourne, which means it was conceived, shot and edited in less than 48 hours. Get your noggin around that. Geoffrey discovers the real price of guilt.